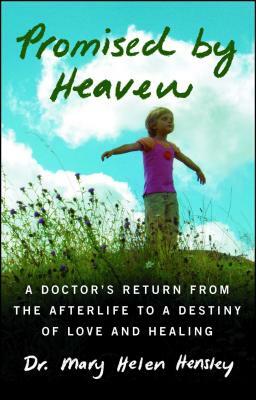 A moving and inspirational memoir of love, loss, and renewal, Promised by Heaven tells the amazing story of how one woman's near-death experience and glimpse of heaven led her to discover her gifts of healing and share them with the world. In December of 1991, Mary Helen Hensley was involved in a car accident that changed her life forever. Upon impact, traveling at more than seventy-five miles per hour, she felt time stall and temporarily left her body. In those moments, Mary Helen was consumed with a sudden clarity. She realized she had the choice to either remain in her body or exit from the earth, allowing the remainder of the scene to unfold without feeling any pain. She chose to depart from her body--and enter heaven. In heaven, Mary Helen was welcomed by two angels who walked her through the place of light and encouraged her to go back to earth and help others. When she returned to earth, Mary Helen was suddenly struck with a desire to live a life of service and quickly set out on a journey into metaphysical healing. Her adventures took her to Ireland, where she went on to become a chiropractor, find love and new friendships, become a mother, and help numerous people with her gifts of communicating with the dead and seeing into the future. Promised by Heaven is a remarkable spiritual journey that questions everything we understand to be true. Describing in great detail her experience in heaven, meeting angels, and returning to earth a changed woman, Mary Helen Hensley offers an unforgettable account of her path to find her true calling.